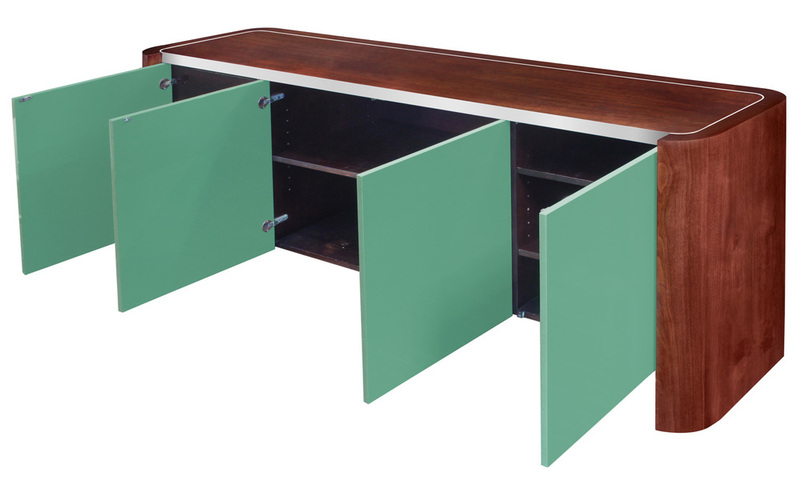 "Radius Buffet," model 7615B, in teak with green lacquered door and aluminum trim by Vladimir Kagan, American, 1970s. (Signed “Vladimir Kagan” on inside drawer). Kagan, who recently died, is famous for exceptional craftsmanship and noteworthy designs.